The business hub of the Wielkopolska region is transforming, opening its doors wide to culture. We are happy that, as part of this metamorphosis, Poznań Art Week has found its place in in the city and gallery spaces of Poznań. The leitmotif of the event’s first edition was “Retouch”, as the works and artistic activities were placed in the context of modifying and enhancing. This year, “redistribution” was chosen as the theme of the event, a notion understood as appropriation and re-interpretation of images, symbols and cultural patterns. “Redistribution” has urged us to think about what social and political factors influence culture, and how the information presented in the media shape these factors. These elements have initiated a debate on the use of our assets and how they are distributed in today’s world. The festival, which was held between 25 May and 1 June, was filled with artistic events, meetings with artists, performances and concerts addressed to a wide audience. In total, 30 venues joined the initiative. Under the supervision of the University of the Arts in Poznań, they created a real treat for viewers seeking artistic impressions. Urban space has also been incorporated – for example, the Art Haven showed excellent sculptures by Sylwester Ambroziak from the series entitled “Mama, I’m coming home”, and a wall of a building at Estkowskiego St. was used as canvass for a mural by Grzegorz Myćka as part of the “Poznań without hate speech – cover hate with paint” initiative. The cultural map of Poznań was filled with venues of artistic expression, thus providing visitors with the opportunity to take a walk through the most topical social and cultural events rooted in contemporary art. The end-of-year exhibition prepared by the students of the University of the Arts in Poznań was the highlight of Poznań Art Week. The show consisted of works created in several dozen ateliers – for example, ateliers of theatre costume, painting and drawing techniques, shaping and transforming space, part of the Intermedia Department. 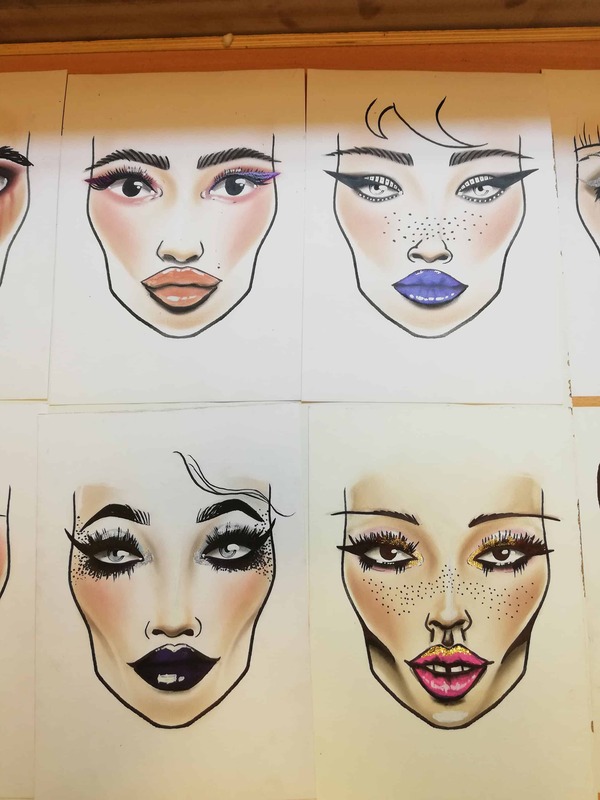 Among the numerous works of students, my attention was drawn to the works by Aleksandra Dojlida entitled “Face Chart”, who chose makeup cosmetics to create her project. Equally intriguing were the costumes designed by students from the theater costumes workshop. Their spatial forms seemed to define the role assigned to the actor. However, the most impressive was a small exhibition presenting a whale in a jar. The work of Barbara Melnyk raises the question of whether humanity can appropriate everything? An exhibition entitled “Wyspa 3.0. Persistent Performative Utterances” was organised in Stary Browar, an iconic place in Poznań, where the viewers had an opportunity to see works by, among others, Jarek Bartołowicz, Miria Boczniowicz, Jarek Czarnecki, Martyna Jastrzebska, Ania Kalwajtys, Julia Kurek, Grzegorz Klaman, Robert Kuśmirowski, Konrad Kuzyszyn, Piotr Mosur, Jacek Niegoda, Jadwiga Sawicka, Marek Sobczyk, Sławek Sobczak, Eugeniusz Szczudło and Michał Szlag. The exhibition accompanied by the presentation of documents and art performance events constituted an overview of three decades of Wyspa’s activity. Presented paintings and installations explicitly referred to socio-political and cultural issues, stimulating discussion and reflection on past decades. 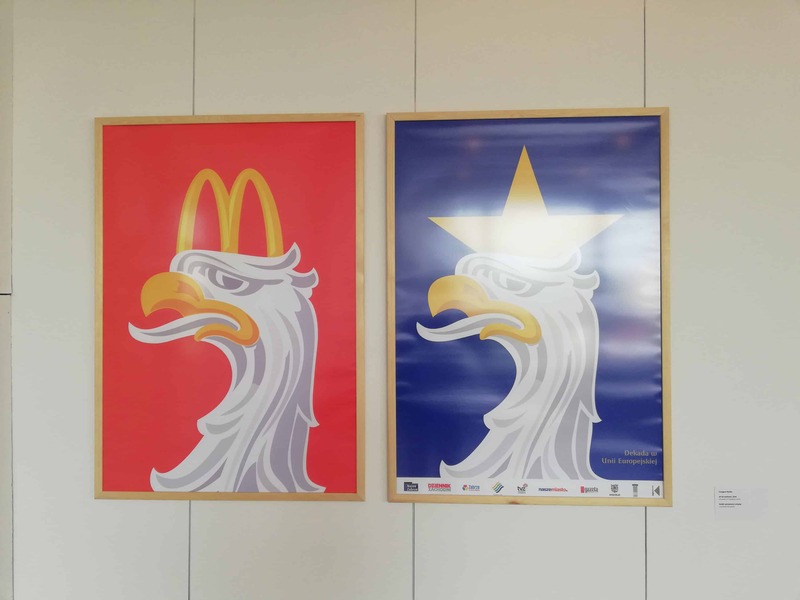 The exhibition entitled “Double Tap” opened an extensive presentation by Dom Książki. The name comes from a shooting technique involving a double shot of one target. The authors, who refer to themselves as Generation Y Millennials, compare the technique to “shooting” Likes in social media. The lack of a Like is a “bullet in the head” for today’s narcissist generation of egocentrics. Millennial pink is the leitmotif of the works, as it is a colour associated with people who are far from grown-up and acting in a conventional way. Photos – photos of works using Instagram images, a signboard featuring Paris Hilton. The second floor of Dom Książki houses a collective exhibition of works by acclaimed international artists. As far as Polish artists are concerned, the viewers had an opportunity to see the works by Grzegorz Myćka and Szymon Szymankiewicz, Włodzimierz Umaniec, Andrzej Matuszewski, Barbara Urbańska, Sławek Elsner, and Bianka Rolando. A gallery located at 20 Ratajczaka St., organised an exhibition of young international artists under the supervision of Takuya Tsutsumi, Aniela Perszko and Szymon Dolata. One of the works was the “Hair Memory” project by Weining Cai, showing hair as a carrier of genes, and hence carrier of memory. The artist presented memories from her 9-month-long stay in Poland, thus drawing our attention to the differences between her home country and Poland. The choice of exhibition spaces emphasised the effectiveness of all the showcased works. Humble galleries located in modernist buildings, small, aesthetic and strikingly simple premises allowed the viewers to enter into a direct relationship with the works. We have been taking part in the Poznań Art Week with delight, and are looking forward to the next editions further popularising culture and encouraging the public to think about contemporary issues.